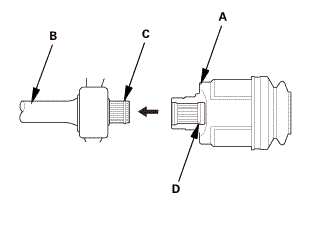 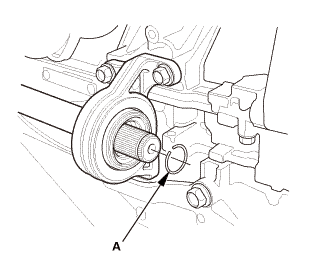 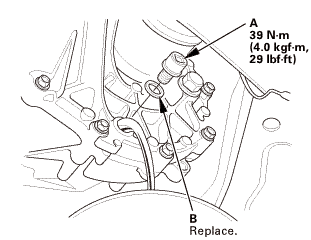 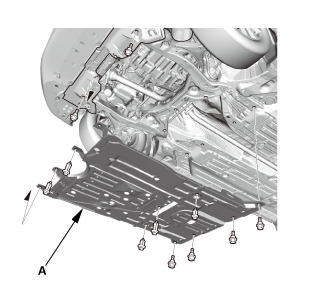 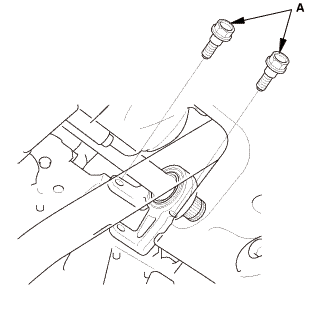 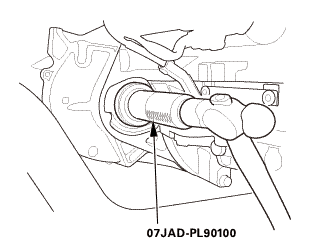 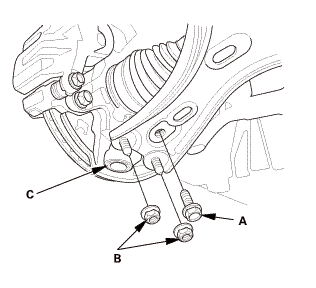 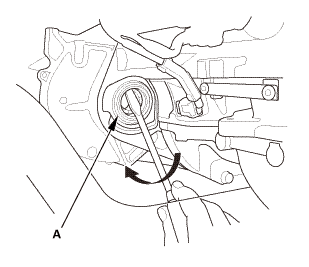 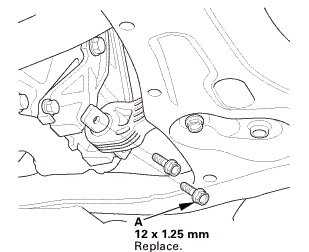 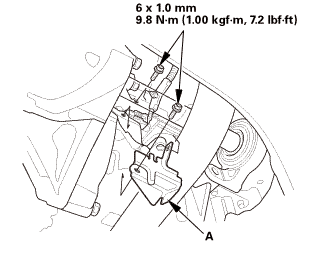 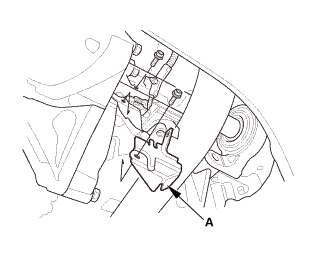 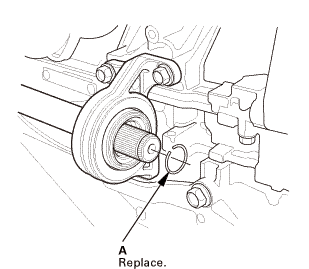 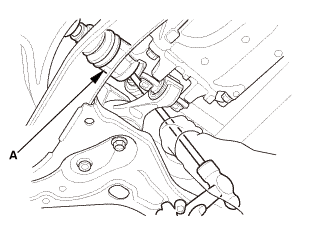 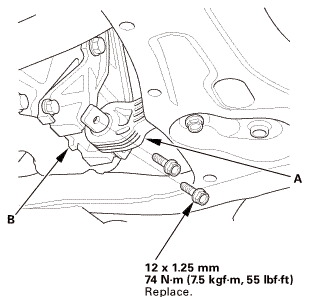 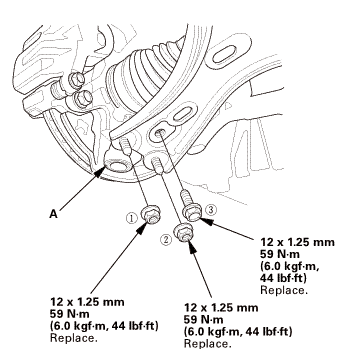 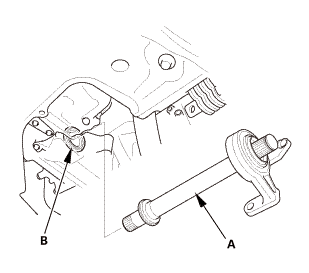 Remove the lower torque rod bracket (A). 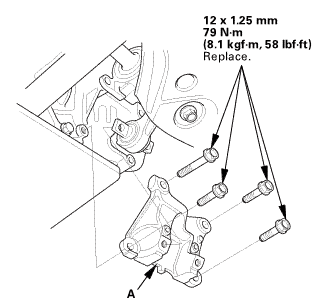 Remove the dowel bolts (A). 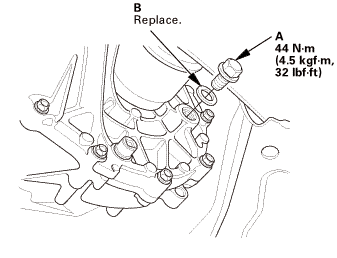 NOTE: Be careful not to damage the clutch housing while removing the oil seal. 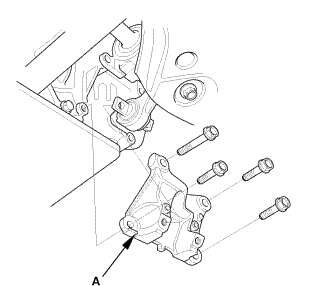 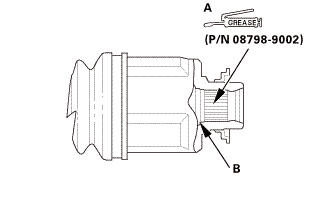 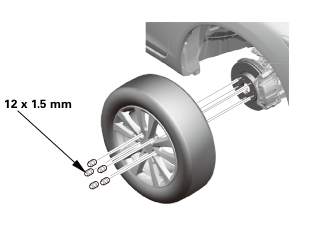 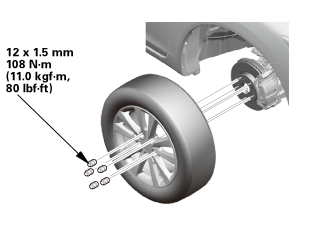 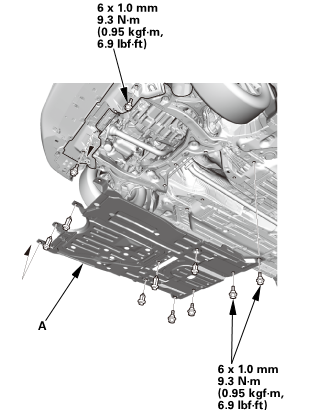 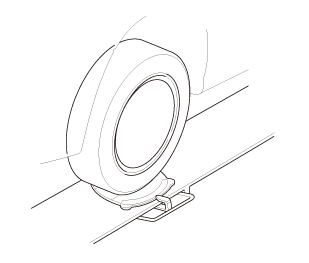 Install a new oil seal flush with the clutch housing using the 65 mm oil seal driver. 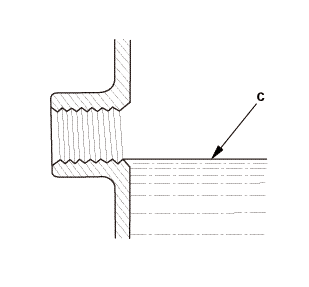 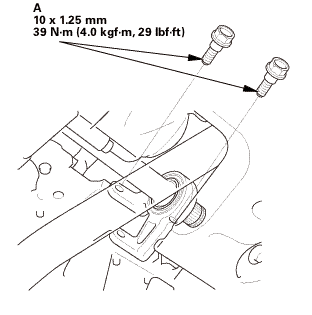 Install the dowel bolts (A). 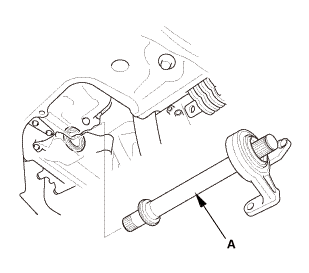 Install the lower torque rod bracket (A) using new flange bolts.